'Tis the season to deck the halls and trim the tree. But why stop there? This year, take it a step further. 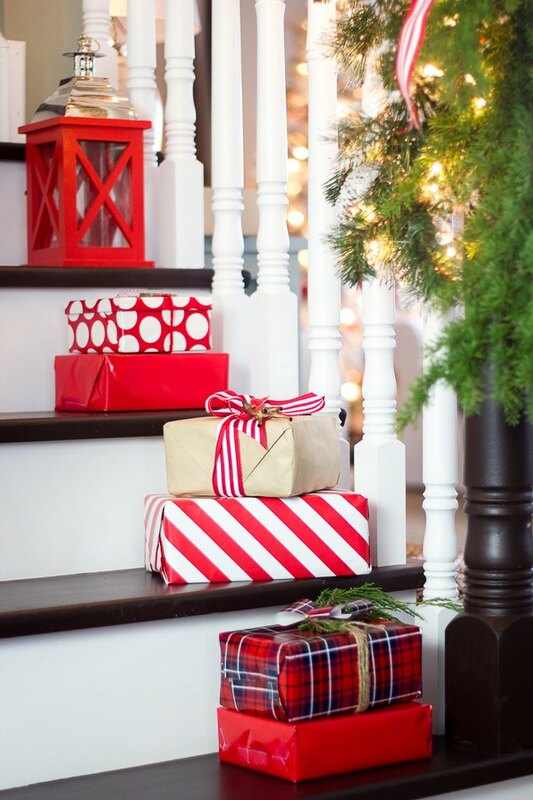 Get in the yuletide spirit with these fun and festive Christmas decorations for stairs. 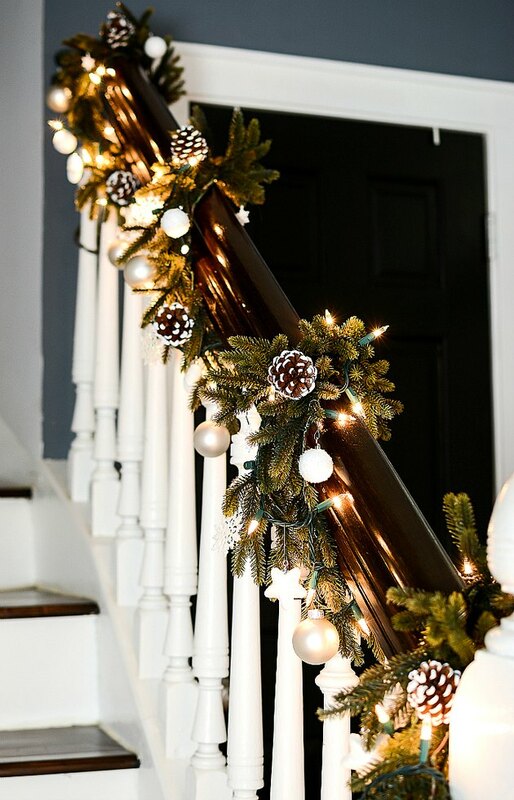 From paper stars to fragrant eucalyptus sprigs, these adornments are surefire ways to dress up your staircase for the holidays and fill your home with cheer. 1. Sometimes less is more. Want to wow guests when they walk into your foyer? Keep things simple like Shea from Studio McGee. 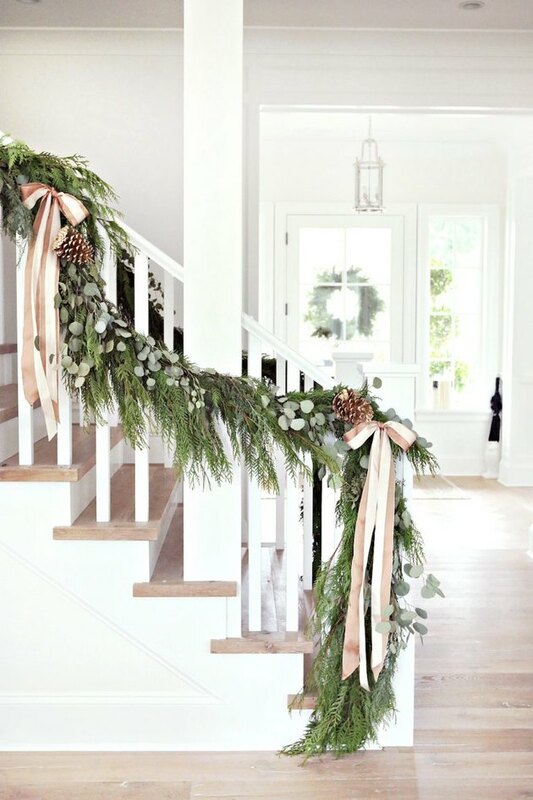 Drape classic evergreen garland down the banister of your minimalist staircase and accent it with gold bows. 2. Show off your gift wrapping skills. If you're anything like us, a ton of energy goes into gift wrapping. 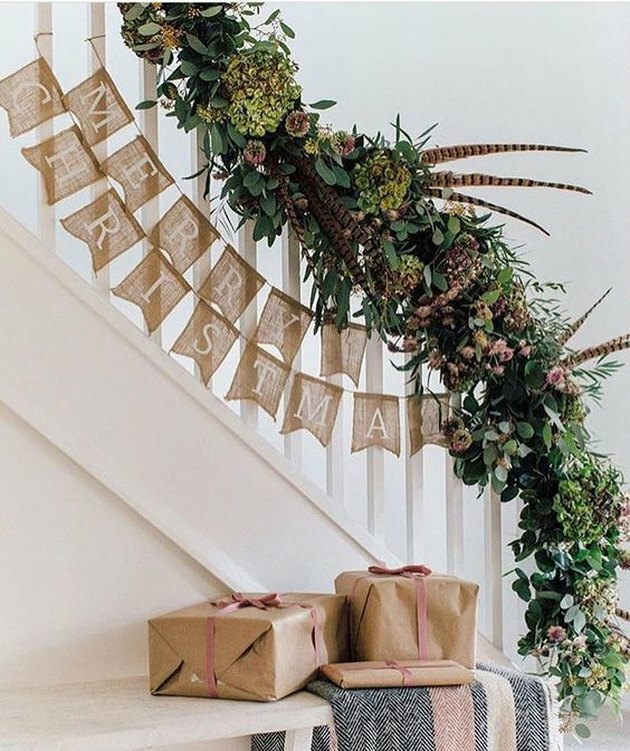 So why not show off your hard work, and mad skills by lining your staircase with presents like Lucy from Craftberry Bush? The entire family is bound to get giddy every time they head to the second floor. 3. Opt for feathers and burlap. 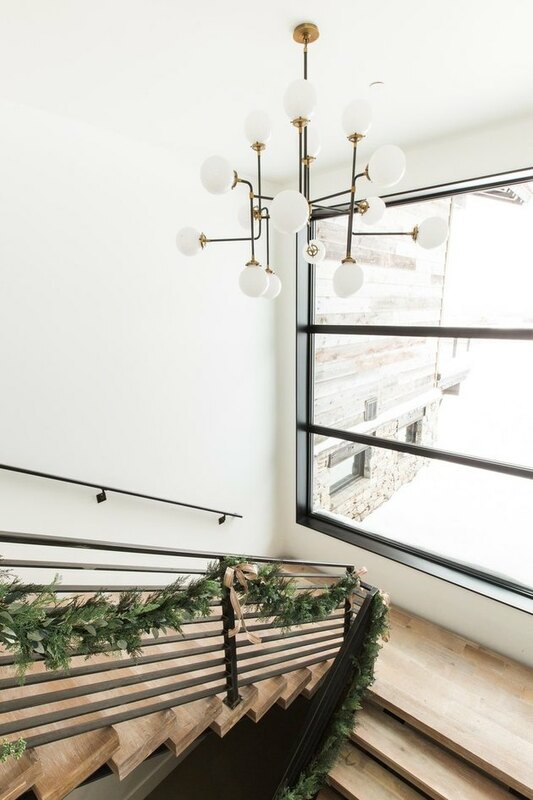 Looking for a more modern take on traditional Christmas decorations for stairs? 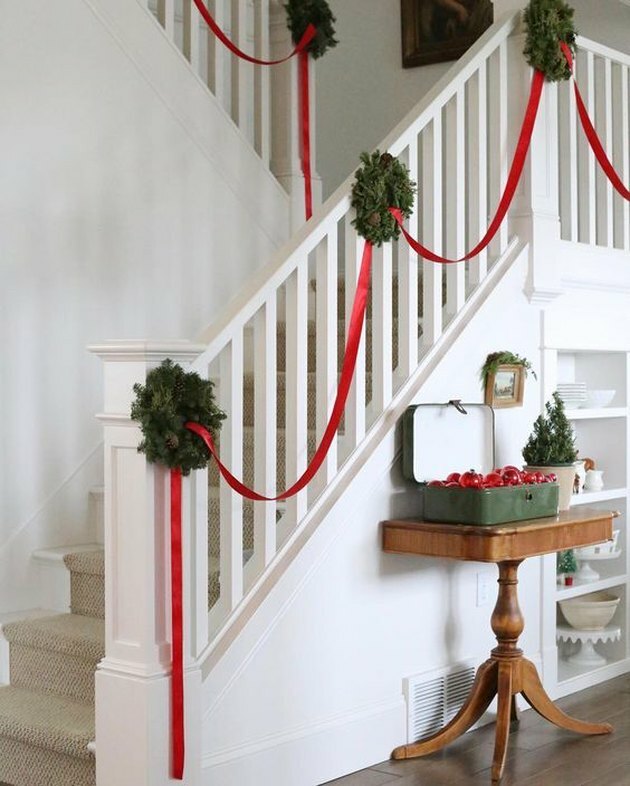 This year, trade poinsettias for feathers and a burlap garland to embellish your banister. 4. Consider wreaths instead of garland. Spending the holidays warding off the winter blues? Infuse a little color and farmhouse charm into your abode, like Serena from The Farm Chicks did with mini wreaths and classic red ribbon. 5. Get crafty with sheet music. Fa la la la la. Sheet music isn't just for singing Christmas carols. In Songbird blogger Marianne's home, it's also ideal for creating origami stars. A faux evergreen garland and a string of lights seal the deal. Who needs a mantel when you have a staircase? 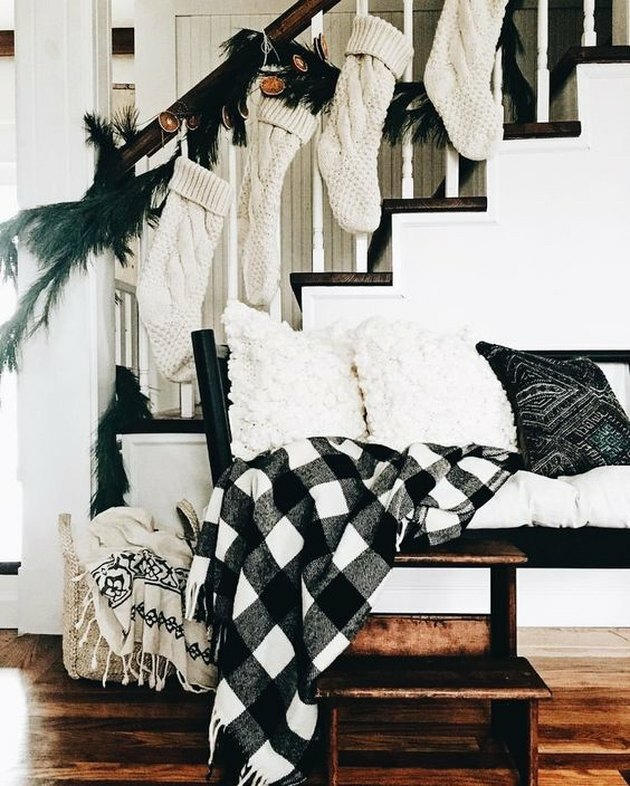 The banister is a great spot to display sentimental treasures, such as your family's hand-knit stockings, for all to see like Morgan from The White Farmhouse Blog. One of the things we love most about the holidays are all of the traditions. Take it from Linda over at It All Started With Paint, there's something so comforting about the classic combination of greenery, snow-dusted pine cones, string lights, and ornaments. Hey, if it ain't broke, don't fix it. 8. Or choose an unexpected palette. 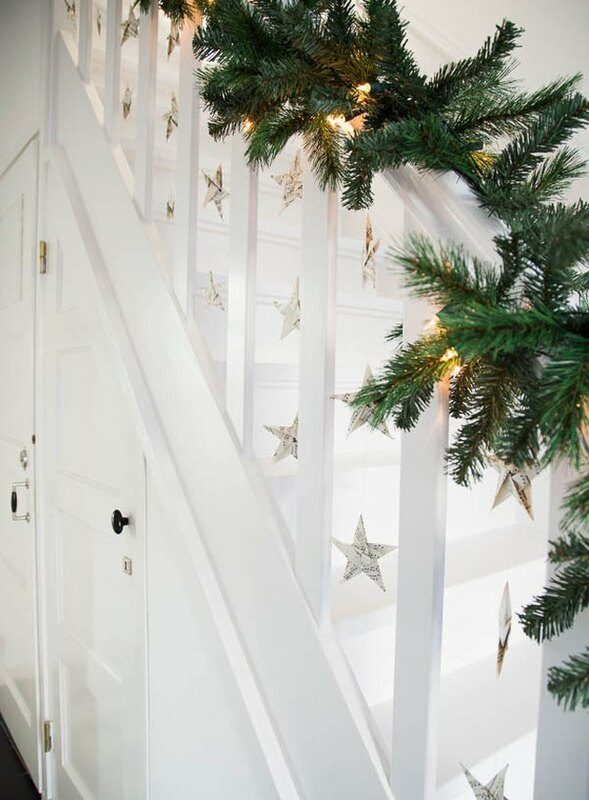 We love these Christmas decorations for stairs by Monika Hibbs. They're sophisticated yet woodsy with juniper, eucalyptus, and pine cones. While pink silk ribbons add a feminine, almost ethereal touch.